Join us to discuss emerging trends and challenges in online learning in health science education. Join your fellow online learning in health science education professionals, educators and administrators to hear from the experts and collaborate on solving the challenges we all face in online health science education today. You’ll get the chance to hear from regional experts regarding current and emerging trends in online learning in health science education, collaborate and network with your regional peers during group discussions on top-of-mind challenges that may impact the future of online learning in health science education – and your career. Our one day event is only $125* for OLC members. Membership discount applied upon registration. Lunch is included in registration fee. *A $25 fee will be charged for all cancelled registrations. Refund requests must be made in writing to Online Learning Consortium. There will be no refunds within 1 week of event date (cancellations must be received by May 30, 2017). If you are not able to attend, a substitute may attend in your place. The name, title, and email address of the substitute must be emailed to conference@onlinelearning-c.org. If you do not attend the program and do not submit a written refund request, Online Learning Consortium will retain all fees. IF you have not paid in advance but have cancelled your registration, you are responsible for the cancellation fee and will be billed. OLC is not responsible for any change / cancellation charges assessed by airlines, travel agents, hotels or other similar vendors. Email all cancellation requests/substitutions/ registration questions to conference@onlinelearning-c.org. We will take a deep look at the challenges and impact of online learning in health science education today and work together to collaborate, define and help shape the changing university. The focus of this OLC Collaborate is health science education. There will also be a technology demonstration and poster session immediately following General Session 3. OLC, UNMC, and NUOW invite proposals for OLC Collaborate at the University of Nebraska Medical Center in Omaha, NE, Tuesday, June 6, 2017. A technology demonstration and poster session will be held following the third keynote, allowing participants to demonstrate educational technologies used within their curriculum (examples might include a virtual dissection table, e-learning modules, HoloLens, etc.) Proposals must be RECEIVED no later than 04/14/2017. How do we support adoption of innovative, technological-driven models of education within Health Professions? Today’s health professions educators must impart the knowledge and skills required for future practitioners to readily integrate into the healthcare workforce as members of interprofessional teams tasked with solving complex healthcare problems in increasingly complex environments. Meeting this requirement becomes more challenging when also faced with the need to increase access to education while keeping costs of education stable, or ideally, reducing costs. Innovative, technology-driven models of education can help educators negotiate these challenges. But, adoption of these models can raise additional concerns regarding requisite faculty development and faculty time, comparable quality in new delivery models, and student adaptation and success within new learning environments. Within her address, Paige McDonald will discuss how the IMPACT team at George Washington University supports the adoption of innovative, technology-driven models in health professions education, including how they promote alignment of technology and active pedagogy to achieve specific learning outcomes. Finally, she addresses challenges they still face regarding assessing relative “contact” with students as they promote adoption of new, innovative models of learning. Paige McDonald is an Assistant Professor of Clinical Research and Learning at The George Washington University. She is currently working to promote blended learning and develop blended courses in Health Science disciplines. Paige’s research interests include blended learning, collaborative learning, adult learning, reflective practice, and course design for higher levels of learning. This panel discussion of interprofessional experts will talk through various aspects of using educational technology to support accreditations. These experts will provide a framework to take a deeper dive in the breakout sessions as they discuss accreditation relating to national, institutional, and site visitor perspectives. Program Director, Cytotechnology Program. Read more. Dr. Zuniga inspires with his story of innovation about how he developed a low-cost 3D printed prosthetic hand for children named Cyborg Beast. Explore the advantages and opportunities in the world of 3D printing for use in the health sciences. Imagine with Dr. Zuniga where 3D printing may take health science in the not so distant future. Dr. Zuniga’s Cyborg Beast was selected as one of the top 5 inventions of 2014 by MSN.com. Dr. Jorge Zuniga is the director of the 3D Research & Innovation Laboratory, and co-director of the Human Movement Laboratory. His main research interests include evaluation of muscle function, neurophysiology, and development of low-cost 3D printed prosthetics. Zuniga developed a 3D printed prosthetic hand for children named Cyborg Beast, named one of the best 5 inventions of 2014 by MSN.com. Significant changes are coming to health science education. From balancing the need for educational innovation against regulatory realities, to using data driven approaches to better understand and manage change, to a new model of the university built around competency-based assessments, these are just a few of the factors driving change. The day’s final session brings together the thoughts and conclusions generated from the OLC Collaborate – Nebraska discussions to formulate a regional response to the changing educational environment. Topics gathered by OLC facilitators and session archivists during breakout sessions along with those posted online by participants during the day will be used to guide this interactive final session. Led by Karen Pedersen from OLC, each of the day’s keynote speakers will have the opportunity to address the collectively generated questions and topics and place them in the context of the broader changes occurring in higher education. The OLC Collaborate – Nebraska response will become the second contribution to a national discussion as the OLC Collaborate sessions continue across the country. The Anatomage Table is a life- size virtual dissection table, which displays male and female gross anatomy models reconstructed from real patient scans or cadavers. Anatomy can be presented in 3D format or in coronal, axial or sagittal planes. This demonstration will provide an overview of how the Table is being utilized at UNMC within the Medical Imaging & Therapeutic Sciences programs for both education and research. 53 e-learning modules were created utilizing a combination of a virtual dissection table, unique case studies, and interactive radiology images. The goal was to use case study-based pedagogy to provide a comprehensive means to review anatomy, teach pathology, and improve critical thinking for health professions students. The modules are designed to be added individually to various health professions based courses or to be completed as part of a newly developed, completely online course. This demonstration introduces a new instructional approach to online learning named, choice-based learning (CBL), to address the diverse learning needs of adult learners in online graduate courses. An e-learning module designed to supplement other cultural competency discussions and provide a face to the real-life experiences of some of the newest members of our society. Demonstration and poster detailing findings of a student centered digital education project. Student were to apply content through a well thought-out digital project and critically analyze information considering multiple points of view. Eye-tracking is the technique of monitoring eye movement while a person views a document or screen. Eye tracking systems enable the visualization of a person’s gaze and provide possibilities to create computerized graphic representations of scanning patterns. The visualization of the digital images by the pathology residents and medical students has been investigated using eye-tracking system and found that tracking the visualization of digital images. A Microsoft HoloLens demonstration incorporating health science curriculum. Augmented Reality photospheres were developed to duplicate the experience of the physical sites and rooms where nursing students demonstrate clinical thinking as they provide safe and quality care. Physical therapy faculty created this online learning module to address challenges teaching a laboratory session: 1) a need to deliver content to a distance site, 2) limited physical space in the lab, necessitating separate delivery to limited numbers of students at a time, and 3) the limited lifespan of equipment used for lab demonstration. The Virtual Environment Radiotherapy (VERT) is a fully-immersive virtual reality simulator of a radiation therapy treatment room. Through captivating 3D views and life size visualizations, VERT offers an excellent platform for supplying radiation therapy training to students, nurses and multidisciplinary team members. This demonstration will provide both a demonstration of the VERT and an overview of how the VERT is being utilized at UNMC with the Radiation Therapy program for both education and research. This portable and cost-effective web-based surgical skills training system (PortCAS(TM)) is used to allow trainees to practice surgical tasks. PortCAS(TM) is a small box-like device fitted to receive standard laparoscopic tools, fits in a briefcase, and is connected to a laptop via a USB port. The virtual training tasks are hosted on a server and run in a web browser, and the system collects the information required to show the performance of each trainee’s task in real time. The iEXCEL Visualization Hub is equipped with 2D/3D, virtual and augmented reality technologies. Equipment includes interactive digital iWall, 3D CADWall, iBench, iMirror, and Head-mounted displays (HMDs). 44 ft mobile simulation trucks with two simulation spaces: an emergency room and an ambulance module. High fidelity patient simulators include adults, children, infants, and pregnant mothers/newborns. The simulators can talk, breathe, and bleed. The simulated patient’s condition changes according to the treatment that it receives. The Microsoft HoloLens provides a technological platform to increase student radiographers’ understanding, critical thinking and confidence of patient positioning skills and allows for transfer of those concepts from the classroom to the clinical world. Skype capabilities on the HoloLens increase accessibility of content through facilitating synchronous instruction across distance education campuses. Currently, student radiographers cannot see the manifestations of poor patient positioning until exposing real-life patients to radiation during clinical rotations resulting in unacceptable images that necessitate a repeated exposure. Mixed reality offers students the opportunity to practice with real equipment in real imaging departments while applying positioning skills to a holographic patient in a safe environment without the use of ionizing radiation. The holographic patient allows for application of positioning skills to corresponding volumetric anatomical data. By setting the equivalent of radiation lightfield boundaries, the volumetric data can be rendered as superimposed 2-dimensional data resulting in a realistic radiographic image. The resultant image enables students to assess their application of positioning skills through an image critique analysis, an opportunity not currently provided in radiography positioning labs. Affording students with the ability to practice real-world application, builds learner self-efficacy and fosters quality patient care services. The opportunity to assign learning, track progress, provide real-time feedback to learners, and archive learning is now a thing of the present with mobile technology. Strabismus surgery is a common procedure performed to correct misalignment of the eyes, with approximately 1.2 million procedures performed annually in the United States alone. From a surgical perspective, operating on the extraocular muscles is highly technical and is even more challenging when the patient is a small child. While there are typically no impediments to isolating some muscles, the patient’s nasal bridge can provide an obstacle to performing the surgery. Therefore, we hypothesized that 3D design and printing could be beneficial towards modifying a pre-existing surgical tool to help the surgeon avoid the patient’s nasal bridge while performing surgery on the medial rectus muscle. PURPOSE: To assess the benefit of 3D Printing towards novel surgical tool design for pediatric strabismus procedures involving the medial rectus muscle. METHODS AND MATERIALS: Measurements were taken by the surgeon and used to create a 2D drawing of the surgical device with desired modifications. The drawing was then utilized to design a 3D model using AutoDesk Revit 2017. The 3D model was exported as an STL file and opened using Cura Lulzbot Edition for 3D printing. 3D printing was performed on a Lulzbot Taz 5 printer with 0.1mm filament thickness and standard print settings in ABS plastic. RESULTS: 3D design and printing proved to be beneficial to the surgeon in helping to inform the final device design. Furthermore, the 3D model was shared with manufacturers to help generate the final product. CONCLUSION: Our results are consistent with our hypothesis that utilizing 3D modeling and printing technologies improved the process, from conception to fabrication, of a novel surgical tool for pediatric strabismus procedures involving the medial rectus muscle. Further analysis and additional studies could be performed. A Doctor of Occupational Therapy (OTD) program at Creighton University undertook a study to compare health science reasoning or critical thinking in two cohorts: (1) traditional, on-campus and (2) hybrid (distance courses delivered via online with face-to-face laboratories). The comparison consisted of Health Science Reasoning Test (HSRT) scores at the beginning of entry-level OTD program and at the conclusion of didactic preparation, prior to clinicals. Objectives: The primary aim of this study was to determine students’ perceived value of various sources in a 360-degree feedback model as part of a simulation in a doctor of physical therapy course. The secondary aim was to analyze the written reflections of students following the act of performing a peer review on another student. Methods: This was a retrospective qualitative study. In an entry-level cardiopulmonary physical therapy course, students were required to complete a chest examination on a standardized patient, participate in a 360-degree feedback assessment, and perform a peer review of another student’s chest examination. Following the 360-degree assessment and peer review, students completed surveys where they rated the value of each source of feedback on a numerical scale and provided answers to open-ended questions regarding their perceptions of the peer review process. Fifty surveys were obtained from the Fall semester of 2013 for this study. The surveys were imported into NVIVO software where themes were identified and coded. Results: Students valued feedback from their professor the highest and their peer the lowest, although these differences were not significant. The main themes identified from the surveys on the peer review process included statements of validation, evaluation, self-reflection, and comparison. Further analysis of the evaluation and self-reflection statements revealed subthemes where students identified behaviors of professionalism, rapport building, exam techniques, and exam efficiency. The most common statements were evaluation statements regarding professionalism and rapport-building behaviors. Conclusion: Student participation in a 360-degree feedback model was reported as a positive learning experience. Qualitative analysis revealed that students could identify behaviors of rapport-building and professionalism in peers, which has implications for physical therapy education. This study suggests that despite being time and resource intensive, coordinating peer reviews as part of a 360-degree feedback process has value in student learning. Two University of North Texas undergraduate classes (HLTH 2100: Mental Health and KINE 2030: Introduction to Kinesiology) in the College of Education were transformed in order to improve information literacy skills and have students understand the research process. There were 3 goals: 1.) Increase faculty and librarian collaborations, 2.) Increase awareness of library resources and services to students, 3.) Increase students’ comprehension related to research in kinesiology and mental health. A variety of educational technologies was part of these courses: Blackboard Learn, MS Publisher, library course guides, and research databases. Academic dishonesty is not a new phenomenon in education. Researchers have studied cheating from different perspectives and viewpoints. Psychologists, for example, have focused on personality types to tackle possible links between ethical behavior and personality (Barger et al., 1998; Tieger & Baron, 1993; Williams et al., 2010). Students’ characteristics such as age, gender and GPA have been investigated for possible connections to scholastic cheating (Barger et al., 1998; Coombe & Newman, 1997; Ford & Richardson, 1994). Scholars have also studied differences in cheating behaviors across academic majors and found that academic major indeed plays a significant role on cheating (Hanson & McCullagh, 1995; Sankaran & Bui, 2003). Scholastic cheating has been a subject of research for many decades and scholars consistently concluded that academic dishonesty has been increasing and continues to compromise the integrity of the educational process. In many studies, as many as 80-90% of students admitted to one or more instances of cheating during their college years (Davis et al., 1992; Jendrek, 1989). Cheating seems to be growing at a faster rate than ever according to recent data. For example, Yardley et al. (2009) conducted a study on self-reported cheating at the college level using a large sample and found that over 80% of participants admitted to cheating. Although research on scholastic cheating have focused on measuring incidence in traditional classrooms, most recent research has shifted focus to understanding why students engage in unethical practices and how. The new focus on understanding the underlying causes of cheating has provided researchers with new directions to better understand the cheating phenomena, which continue to be one of the top challenges faced by educational institutions. This presentation will focus on the existing research literature and the findings from a mixed method study with undergraduate students at a large Midwestern university. Student-centered learning is essential and evidence shows higher levels of achievement when students are engaged with educational activities that include critical thinking and effective communication in addition to creativity. The aim of this prospective cohort study was to evaluate a student-centered digital education project during a course about physical therapy (PT) management of chronic diseases. The objectives of this student project were to apply content through a well thought-out digital project and critically analyze information considering multiple points of view. Each project was evaluated by faculty using a rubric, and students completed a self- and peer-assessment. All projects were shared at the end of the semester. Students self-selected the topic (and deadline), whether to work individually or in groups and the digital format of their project (infographic, screencast or PechaKucha/Ignite). Data analyzed from three cohorts (n=137) show this student project was well-received with 69% agreeing the time it took to complete the project was appropriate for the percentage of the final grade, 76% reported having a better understanding of the topic and 80% reported a new understanding of presenting information to health professions audience. The student-centered components of the project were also highly favored with the ability to self-select the digital project format (86%), due date (85%) and topic (87%). Most students choose to work in groups (96%) and the infographic digital format was selected most (88%), followed by screencast (7%) and Pecha Kucha/Ignite (5%). Faculty noted an excitement by students about their completed projects and eagerness to share with others. These results support the use of a student-centered digital educational project allowing students to make connections between course material and PT with an individualized project plan to present information digitally. The millennial generation of students are comfortable with technology and this project introduced new platforms for presenting healthcare information. Background: At UNMC, interactive lectures have been a key feature of internal medicine clerkship didactics. Students are encouraged to read the material in advance, then faculty calls on students and asks them to apply their knowledge to a given clinical scenario, creating a lively discussion of pathophysiology, diagnostic evaluation, and clinical management. The faculty can assess the students’ depth of understanding, then adapt to meet the learners at their ability levels. Recently, however, students are less willing to answer questions in front of peers and report increased anxiety with this format. The purpose of our study was to assess how integration of Student Generated Questions (SGQ) utilizing an Audience Response System (ARS) affected student anxiety, engagement, and learning. Methods: In the current study, for each lecture topic, two students were assigned to create three SGQ. During lectures, faculty posed the SGQ to the entire class and a free version of an ARS (polleverywhere.com) was utilized to tabulate the answers, showing class comprehension, prompting further discussion by faculty. A survey was sent to all students following completion of the clerkship to assess attitudes about SGQ and ARS in classroom didactics. Results: Overall, 71% of students felt that they learned better from a lecture that incorporates SGQ and ARS than one that does not. 80% of students felt that the incorporation of this into didactics was a worthwhile activity, and 90% felt that this should be continued in future internal medicine didactics. Conclusions: Our results suggest the combination of SGQ and ARS has been beneficial to our students. Incorporating SGQ utilizing an ARS in our classroom didactics has been successful in decreasing student anxiety, increasing student engagement, and improving perceived recall and knowledge. Health Science education faculty are redesigning curricula to meet the learning needs of current and future students. During this process, faculty adjust their teaching strategies, and work to increase their own educational technology skills. The evolving demands of a health care educator underscores the need to nurture their technology skills development. The method UNMC chose to use was to develop an interprofessional community of support that is designed to strengthen an innovative culture, foster informal peer review and peer mentoring, encourage scholarship opportunities, and to offer collaborations with educators who share an interest in using technology in education. The community identified critical supports for the adoption of technology innovation and this poster will illustrate methods used to create, grow, and sustain the community of support. The Mayo Clinic Instructional Design and Educational Activities (IDEA) interest group began in 2015 as an effort to bridge the “silo” structure of instructional design and education at Mayo Clinic. Through the work of a dedicated Steering Committee, IDEA has succeeded in building a community of educators through monthly meetings and an annual Innovation Showcase. By encouraging collaborative knowledge construction between the varied education and training departments, the IDEA interest group now comprises a Community of Practice that supports Mayo Clinic’s mission: to inspire hope and contribute to health and well-being by providing the best care to every patient through integrated clinical practice, education and research. In less than 2 years, the IDEA group has demonstrated the measurable positive results of having facilitated more than 280 hours of networking, resource sharing, capacity building, and professional development across all sites and throughout a diverse group of departments and schools. The current distribution list includes over 150 members with titles ranging from Instructional Designers to Education Specialists to RNs. Average monthly workshop attendance averages about 20 participants (in-person and remote). In 2016, the Innovation Showcase had 8 presenters and 40 attendees. In 2017, the Innovation Showcase had 14 presenters, 5 resource tables, 3 skills acquisitions sessions, and over 50 registered attendees. What will teaching, learning, and working in the Digital Age of Health Science Education actually be like in 2027? How much should today’s faculty and administrators do to prepare for this future? There is no question that extraordinary change is coming. The question is, how much of that change is within our powers of prediction, and how should we proactively prepare for the future? Keynote speakers will offer insightful views of the changing university through short, focused presentations. This will bring together how the use of technologies, the dictate of economic realities, increasing regulatory oversight, the need for constant innovation, and new societal expectations of what colleges can and should be are bringing change to health science education. All sessions are held at University of Nebraska Medical Center, Truhlsen Events Center. All Sessions are in Central Time (CT). Joining us for the day? Come directly to University of Nebraska Medical Center. Make your reservation at Courtyard Omaha Aksarben Village. More than 100 programs offered online from four highly-respected institutions. Experience the same rigor, faculty and support you expect from a leading university. The University of Nebraska Online Worldwide is NU’s collaborative online initiative providing access to academically-respected degrees offered online by the four campuses of the University of Nebraska and University of Nebraska High School. 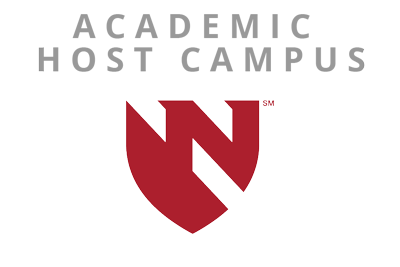 NU Online Worldwide continues the University of Nebraska’s long history of providing high-quality, flexible distance education programs designed to meet the needs of a diverse set of learners, helping build your career and enhance your life. If you are a health science, education technology or distance learning company, this intimate one-day session will give you the chance to collaborate with educators, administrators, and online learning professionals – your potential clients in discussion forums, at lunch and in our small exhibitor showcase. To learn more, contact our Manager, Sponsorship Sales, Brenda Weiss-Pestaby email, brenda.pesta@onlinelearning-c.org or by phone, 617.716.1417.